Explore the role museums play in our society and the “pieces of history” they display. Students are also invited to touch and hold history through the exploration of artefacts. They will uncover the “story” of these artefacts by working through a set of questions and uncovering the historical information they contain. Includes a behind-the-scenes tour of the museum including collections storage, home to over 20,000 artefacts. The programme is a great introduction for Heritage Fairs. Ask us how to pair it with a trip to the Niagara Falls Library for an instructional programme about using Library resources for research, with an emphasis on databases and digital collections. This programme is also available as Museum Outreach! In small groups, students examine primary source materials and role play the experiences of real people (soldiers, officers, First Nations, medical personnel, civilians), events of the War of 1812 period and the Battle of Lundy’s Lane. Using maps, illustrations, and source materials, they produce a dramatic presentation of the War through the perspective of the individuals who experienced the events. Includes a tour of the Gale Family War of 1812 Gallery. Students examine the nature of slavery in the 18th and 19th centuries and the elaborate underground system developed to lead them to freedom. Teams of students will then become characters trying to make it to Niagara in the Underground Railroad Game. Based on actual events, decisions have to be made and the consequences abided. This is a game of wit and chance. Discover the Great War through primary source materials in the museum’s collection. Students will explore the museum galleries, analyze photographs and critically assess personal correspondence to immerse themselves in the wartime experience. This program is available as Museum Outreach! Niagara has been home to many bridges over the years. Discover the science and history behind these local structures and whether or not they withstood the test of time. Students are challenged to build a bridge that meets the growing needs of the community. Join us in welcoming the Six Nations of the Grand River community members for a series of interactive workshops. Travel to stations around the museum and engage with Haudenosaunee traditional music and social dance, cultural artefacts, and food. Students will develop a better understanding of the interconnected relationships between First Nations and European Settlers. The program requires a minimum student registration, please book by March 8, 2019. Mike Ford, previously of Moxy Früvous, is a bilingual JUNO-nominated solo artist who has released five acclaimed albums of Canadian history-inspired songs. His fast-paced curriculum-focused concerts, always adapted for audience levels, have succeeded in the challenging task of inspiring young people towards a greater interest in Canada's past and greater involvement in its present and future. In this performance, Mike Ford takes students on a break-neck tour through First Nations lore, explorers' tales, the War of 1812, rebellions, Confederation, and finally skidding to a halt for a decade-by-decade examination of Canada's explosive 20th Century. Following the performance students will be given a 45 minute museum tour. Teacher will be provided with a study guide in English and French, to help supplement their experience. 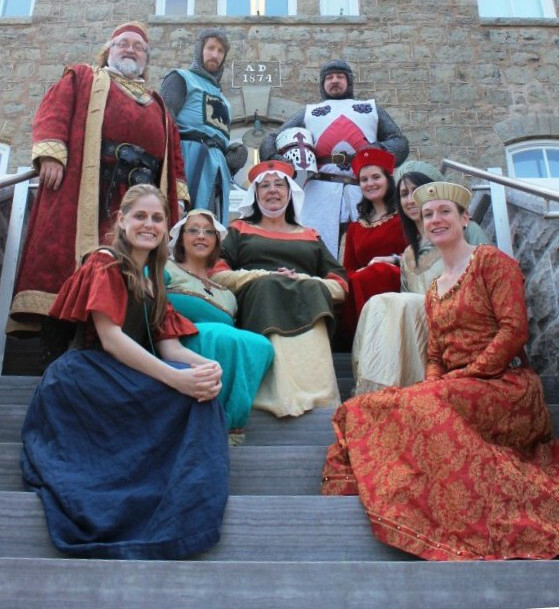 Travel back to the Middle Ages with Blackthorn Productions. 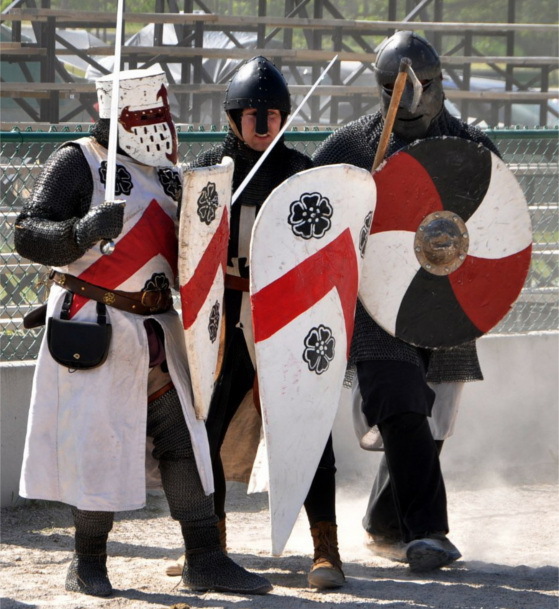 Students become lords and ladies as they touch and try on medieval armour and clothing, learn an authentic medieval dance, explore medicine and the Black Death and ask their questions of costumed characters. 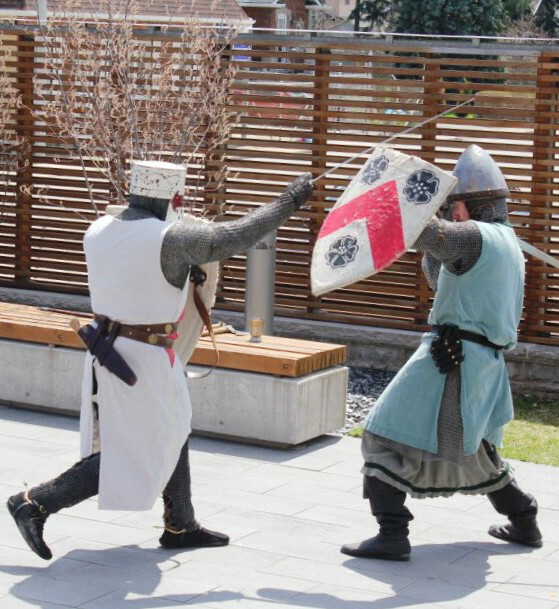 Students will travel to stations throughout the museum to experience the medieval world first hand. This programme requires a minimum student registration, please book by March 30, 2019. To accommodate the new social studies curriculum, teachers will be provided with a Classroom Package containing activities which will connect their student’s experiences with that of other ancient civilizations.